Anti-biotics, laser treatments, birth control – I’ve tried it all to manage and clear my acne and none of it really worked. 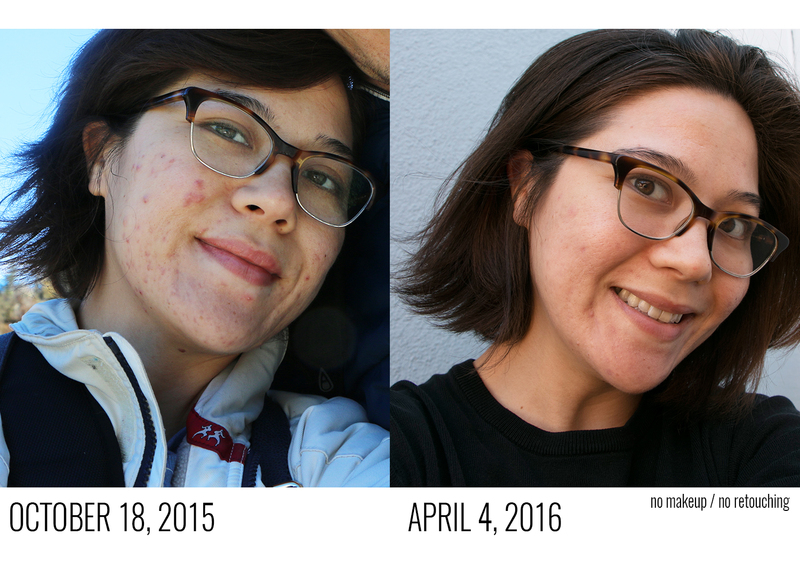 I wanted to share my acne skin story because I no longer have painful cystic breakouts and my regimen might help someone else out too. When I was thirteen a boy named Henry said to me, “you have perfect skin.” This would have been a compliment except for the fact that I remember he was angry at me. He said it to me almost like a curse, like I didn’t understand the world because I had perfect skin and he would show me. Little did Henry know, that in six months from when he cursed my perfect skin, I’d get my first acne breakout. Cystic acne that would plague my adolescence and adulthood for the next fifteen years. I can’t for the life of me remember the interaction that led up to Henry cursing my perfect skin, but I will never forget that he did – because I haven’t seen it since. My cheeks are covered in icepick scars and I’m never without some discoloration, but I can proudly say I have managed to get the upper hand on my acne. My acne has gone in cycles, from 16 to 22 it was really bad, then around 23 to 26 it mellowed, but right around 27 it came back with a fury. The pimples were deep, red, and really pissed off. Up until the last few years, I’ve never experienced clear skin. At a minimum, I would have 3 -4 deep pimples on my face with a collection of blemishes, usually around my chin but the breakouts didn’t discriminate from my cheeks or forehead. My breakouts were painful. I’d just be living my life and my skin would hurt. When I’d sleep over at a boyfriend’s house, I’d wash off my makeup and wouldn’t get into the same bed unless the lights were off, I’d also wake up and put on makeup before my boyfriend was up. I’ve never understood people who can just wear a little coverup and be done. All the tutorials that suggest a little cover up/concealer for a quick morning routine never had acne. I’m illustrating my experience with acne because I want the person who also is 26 going – “why the hell do I still have acne” read this and gets that I understand them. Cause acne isn’t just one or two pimples that eventually go away. Acne is painful, all over, persistent, and leaves a mark (or dozens). I’ve used the following regimen for over a year now and have clear skin because of it! Whenever I deviate and try different cleansers and moisturizers, the breakouts come back. Also, I used to believe in the “skin purging” story, but unless you’re using a serum that is accelerating cell turnover, the skin shouldn’t breakout and purge. 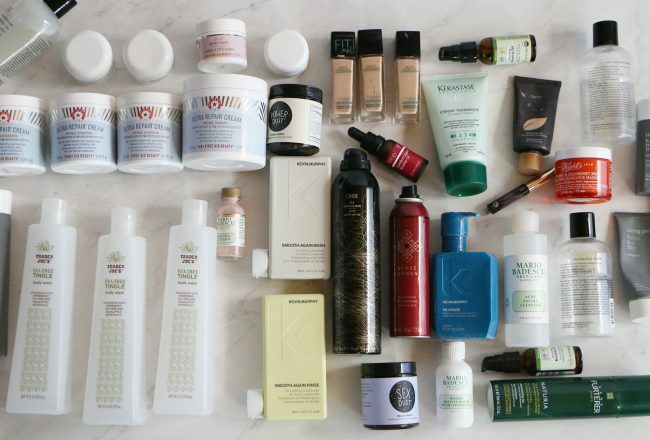 The purge can be a sign of irritation, and a reason to stop using a certain product. So without further ado – here is what I use for my skin. 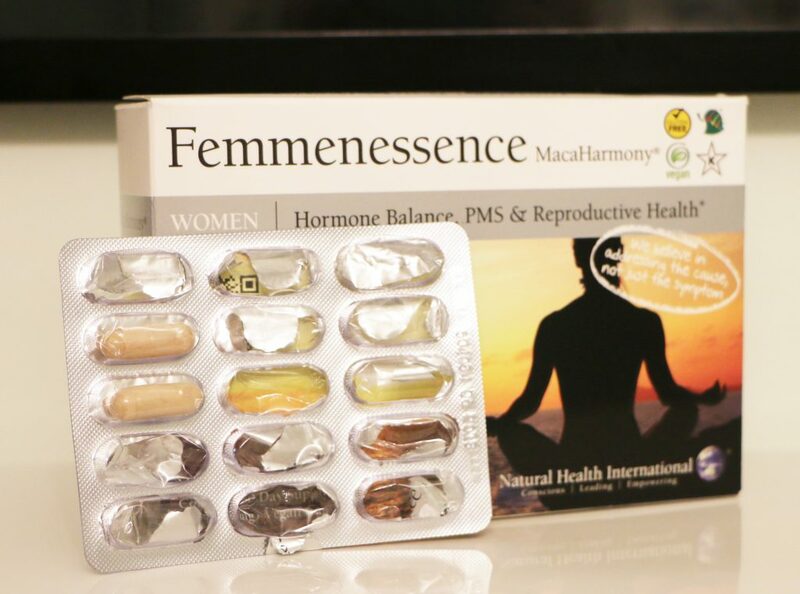 Femmenessence Macaharmony: I purchased Femmenessence MacaHarmony to help with menstrual cramps, but what it did for my skin makes me a forever advocate. When using the supplement my cramps are better, but unlike any oral solution before, the MacaHarmony helped to clear up my skin and keep it clear. The above Before picture was taken 2 days before starting Femenessence, within a month I saw a huge difference in my skin and by month three my skin was the clearest I’d seen since I was a kid. My skin was so terrible, I didn’t necessarily experience a breakout before it got better, my skin was just terrible and became wonderful. The supplement also helps with my fatigue. The company that makes Femmenessence MacaHarmony also has a medical team people can call to help advise with dosage or answer any questions, talk about AMAZING customer service. I can’t say enough nice things about Femmenessence. 80% of my clear skin is due to Femmenessence, and the other 20% to my actual skin care regimen. I’ve determined this because whenever I’ve deviated to new skincare products, while on Femmenessence, I’ll experience a few new breakouts. Not hormonal breakouts, but breakouts attributed to skin irritation. 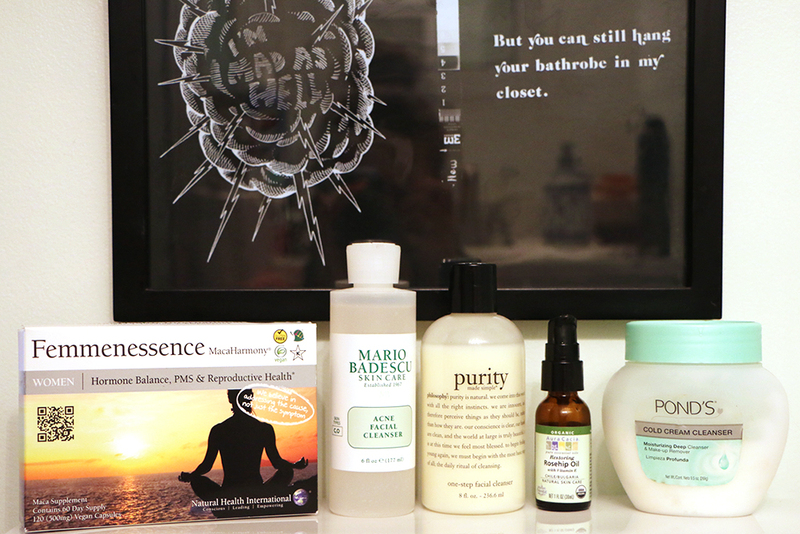 I’m so grateful for discovering this new routine, I’m ride or die with the following products too. Philosophy Purity Made Simple Cleanser: Double cleansing is the ONLY way one should be washing their face. The first cleanse is to wash away all the makeup, dirt, pollution, and impurities. The best cleanser I have found for this is Philosophy’s Purity cleanser. It’s really gentle, but breakdowns makeup like a beast. I rarely have to use any eye-makeup remover. I also use Purity as my morning face wash too. I believe the more gentle you are with your skin when approaching acne the better. Most acne products are incredibly harsh and drying on the skin, and those suffering from acne are willing to ignore the fact these products speed up our skins aging process in the hopes of clear skin NOW. However, when I decided to be kinder to my skin, it started producing the desired results. Can’t blame it for breaking out, when I was irritating it twice a day with salicylic acid. Mario Badescu Acne Facial Cleanser: At night I follow up the Purity Cleanser with Mario Badescu’s Acne Facial Cleanser. This is the only step in my skincare routine that has the word “acne” on it, and I only use it once a day. I view the second facial cleanse as treatment. The first cleansing to remove the dirt and makeup is prepping the area for treatment. The ingredients in the acne cleanser are able to penetrate deeper and manage the bacteria that causes acne, because it’s not fighting through other junk to get to the real culprit of a pimple. The MB Acne Facial Cleanser contains salicylic acid to combat acne, but also has amazing skin soothing ingredients like Aloe Vera, Chamomile, Thyme Extracts, and Hyaluronic Acid for ultimate hydration. All the loving ingredients in the MB Acne cleanser have been kind to my skin as a treatment solution, especially since I’ve found most acne cleanser are extremely aggressive and irritating to the skin. And when the skin is angry, it can cause more problems instead of less. Rosehip Oil: The use of oils on the skin have been on the rise in the last 6 years and for good reason. IT’S AMAZING!! Although I double cleanse with gentle products, I’m still removing a lot of the natural oils from my face and leaving it thirsty for some hydration, and nothing beats treating my face to rosehip oil before bed. I started using it because I read that the way to combat oily skin was to use oils on the skin. 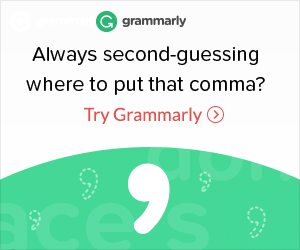 It seems counter-intuitive but actually, makes total sense. The skin will produce excess oil because it’s not balanced and needs more hydration than it’s being provided. When you start using oil on your skin, the skin soaks it in better than most standard facial moisturizers, and in turn, stops producing excess oil. Well, after testing this myself for over 2 years – that science is fact. I have the most balanced and supple skin! In the morning my skin glows and not from being “oily”, it’s because it’s still hydrated from the night before. Also, Rosehip oil helps with healing minor scars and discoloration, which in my before and after picture you can tell a lot of my hyperpigmentation has faded, and mostly because of rosehip oil. It is a bit smelly, so I will follow up the rosehip oil with a drop or two of tea tree oil. I just dab the tea tree oil around my chin mostly and a little around my nose for aromatherapy and then call it a night. I don’t recommend Rosehip Oil for the morning because it is an oil and makeup will not go on properly, but at night it’s perfect. By the time I’m done brushing my teeth, the oil has soaked into my skin enough that I don’t feel I’m going to leave an oil stain on my pillowcase. p.s. I have a black pillowcase, so not sure what this would do to a white pillow case night after night, however, I haven’t really had any embarrassing issues at hotels. 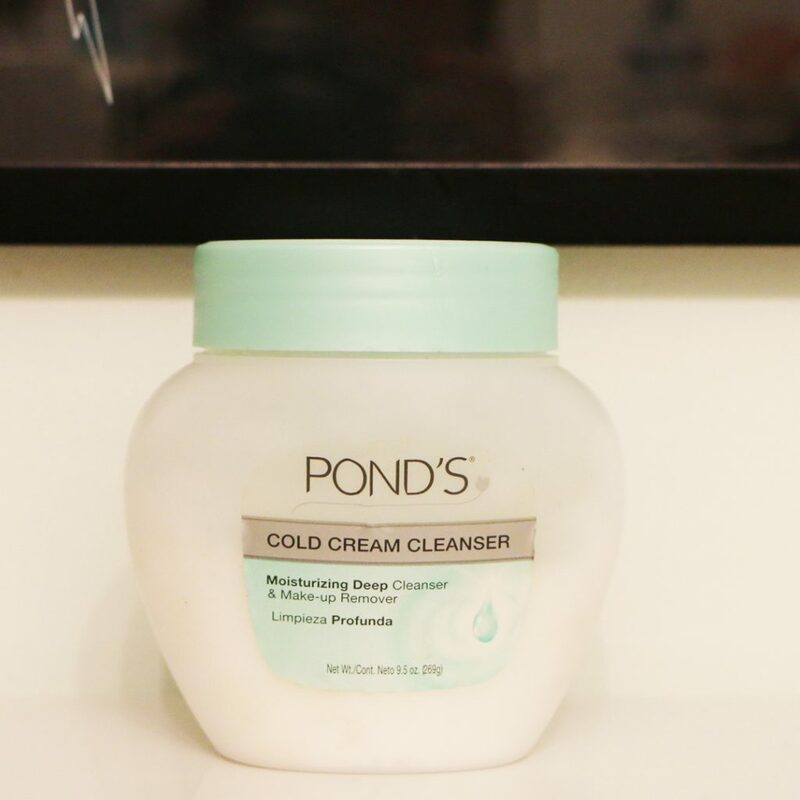 Ponds Cold Cream: Since I was doing a blog post on my skin care regimen, I wanted to add the fact I use Ponds Cold Cream to remove my eye makeup. I don’t use it every day, but if after the Purity Cleanser I still have makeup residue around my eyes I use the cold cream. I started using Ponds Cold Cream as an eye makeup remover 6 years ago and I’m so happy I did because it’s helped me with fine lines and wrinkles around my eyes. The extra hydration from the cream has been acting like an eye cream for the last half-decade and I didn’t even realize it until now. My mom has always been a Ponds Cold Cream woman, so when all the eye makeup removers I purchased started to hurt my eyes or need too much rubbing to remove the makeup, I turned to a classic. All I do is gently apply some of the cold cream to the eye makeup I want to remove and then swipe it away with a cotton pad. Super fast, easy, and no rubbing that can cause those pesky signs of aging. I had to give some major props to this classic oldy but goodie. The tub lasts FOREVER, and it so gentle and nourishing. I’m so happy I started using this because I didn’t start using a legit eye-cream until now. When I went to go purchase my first eye cream, the saleswoman thought I was 21 – yup not so much, but thanks for the compliment. The above products are what have worked for me in a way that no other skin care regimen ever has. A common issue with those with acne is not just trying to cover up the discoloration with makeup, but fighting with the less than stellar texture of our skin as well. I’m so happy and thankful for figuring out what works for my skin because now I know the texture of my skin on my wedding day will actually be nice. That might be super shallow and vain, but when you’ve had a hard time going to sleep because you just have a painful breakout across your face and can’t lay down on your side like normal, clear skin starts to mean something a little more to you than just vanity. It means comfort in my your body, and reinforced confidence in your mind. Everyone’s skin is different and treatment of acne is going to be different, but if you haven’t found a solution yet I urge you to test mine out. It’s really great for sensitive skin and has changed my life. Until this stops working, I’m not changing anything in my nighttime skin care regimen for acne. Disclaimer: I’m not a dermatologist. I’m not a skin expert. This has all been stated from my personal experience dealing with acne and how I cleared my skin. I’m an expert in living with acne. I found my magic combo within the last couple years and have pinned down what foods and lack of hydration make me break out. I had really bad acne for about the same time frame as you did, and it will still happen certain places on my back, shoulders and upper arms if I skimp on my skin care routine. But I LIKE pizza and sugar. What’s your combo? Isn’t it magical when you find your special formula? It’s like you’ve hacked into your own body’s mainframe to high-jack the system. Diet influences my skin too, but in the past, I would have the PERFECT diet and then still breakout – totally discouraging. Now I feel like I’m spinning skincare plates like a pro, taking on acne from the inside and outside. The sense of control is epic like I know what to avoid before a big day if I really want to step up the skin care game, but just having a good baseline right now is awesome. I moisturize every time water touches my face. I, too, thought having oily skin meant you needed to “dry it out” wrongwrongwrong. That was number 1. I use a 10% benzyl peroxide acne wash in the shower every morning and then do a normal wash so I don’t bleach my towels/clothes/skin. 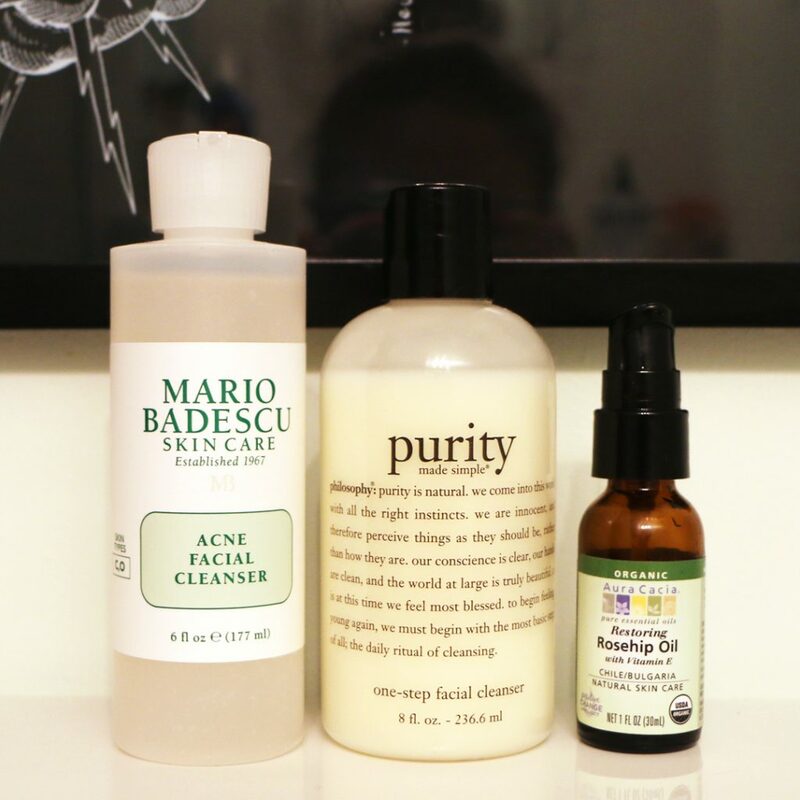 So double cleansing! Like you said. I also use a tinted moisturizer every day, drink tons of water, and exfoliate only once a week, if that. I occasionally have hormonal breakouts, but it’s super rare I get cystic breakouts if I lay off the damn sugar and drink enough water. I try to live by the “what you put in your body is more important than what you put on it” wisdom.